One of the many reasons I love writing this blog is that it gives me an excuse to try an inordinately large number of skincare products without being judged too harshly. However, trying all these products is not without its occupational hazards – sometimes products break me out, make me peel, give me dry patches, turn my cheeks red, or do absolutely nothing at all. But every once in a while, I run across a treat that’s so magnificent that I don’t even have the patience to use it for 28 days before I review it, and those are the products I live for. I’m happy to report that Paula’s Choice Skin Perfecting 2% BHA Liquid is one of those products. Paula’s Choice 2% Skin Perfecting BHA Liquid Exfoliant ($23) is a daily facial treatment that promises to treat acne, blackheads, enlarged pores, keratosis pilaris, redness, rosacea, wrinkles, and provide an even skin tone. Salicylic Acid – Salicylic acid is a beta hydroxy acid (BHA) that is often used as an acne treatment. It is a naturally occurring ingredient, usually derived from willow bark, but also occurs in other sources. Salicylic acid has been shown in multiple studies to improve skin barrier function and collagen production. It’s best used in concentrations from 0.5% – 2%. The reason BHA is such an effective treatment is because not is it antimicrobial, anti-inflammatory, and exfoliating – it also has the ability to travel deeper into the skin than many other skincare actives, including AHAs. Single-center, open-label study of a proprietary topical 0.5% salicylic acid-based treatment regimen containing sandalwood oil in adolescents and adults with mild to moderate acne. Camellia Oleifera – Better known as green tea extract, this ingredient has a multitude of studies showing its benefit in the skincare world. Green tea’s active, skin-friendly component is polyphenols, which possess powerful anti-inflammatory and antioxidant properties. This study from June of 2013 showed green tea extract to have a prolonged moisturizing effect, reduce skin roughness, and improve skin microrelief (wrinkles). 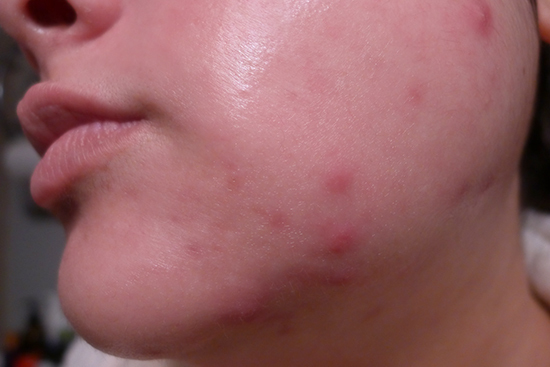 According to COSDNA, there are no major red flags in terms of potential acne-triggering ingredients. Sodium hydroxide does score a 5 out of 5 as a potential irritant – but in this formula, it’s harmless. On it’s own, sodium hydroxide (also known as lye) is extremely caustic, but once it’s been reacted – as it has been in this formula – it’s completely benign. Paula’s Choice Skin Perfecting 2% BHA Liquid Exfoliant comes in boring, yet functional 4 oz. plastic bottle. 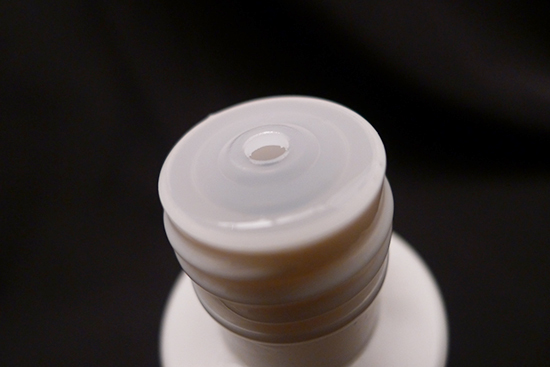 The dispenser is pretty basic – it’s a small hole in a plastic cap, designed to dispense product a few drops at a time. The liquid itself is clear and slightly thicker than water. Paula’s Choice Skin Perfecting 2% BHA Liquid Exfoliant has no added fragrance, but it does have a smell. It’s not horrible, but no one is going to be making an eau de parfum out of it anytime soon. It smells medicinal, but also a little bit like a hair salon. The instructions show that Paula’s Choice 2% BHA Liquid Exfoliant should be applied just after your toner, using a cotton pad. I haven’t applied a skincare product with a cotton pad in ages, as I believe it wastes product, so I just splash several drops in my hands and press it into my skin, giving more attention to problem areas. Once applied, I wait a couple of minutes before performing the rest of my skincare routine. If I were to leave it on my skin without applying any products over it, most of the product absorbs, but there is a very thin layer of moisture that sits on top of the skin. Some reviewers thought it was “heavy and oily.” I couldn’t feel it at all. The only reason I knew it was there was because I reached up and touched my face to see what I felt like. Once I applied the rest of my skincare products, it felt exactly the same is it would have if I’d applied them without the BHA liquid. Option 1: Use BHA only in the morning on days when you’ll be using a retinoid in the evening. Option 2: Apply your retinoid first, then wait one hour before applying the rest of your products, including your BHA. Option 3: Apply the BHA along with the rest of your non-retinoid skincare products, wait one hour, then apply your retinoid. This is what I do and it works out well for me. On evenings when I use my Tretinoin Gel Micro 0.04% (about every other night), I apply the BHA liquid, then my serum, emulsion, and moisturizer, wait an hour, then apply Tretinoin. If you have very sensitive skin, are new to using Tretinoin, or find that Tretinoin is causing you any skin sensitivity, I would advice against using BHA and Tretinoin at the same time. Instead, try using the BHA liquid in the morning and the retinoid in the evening. Before I started using the Paula’s Choice Skin Perfecting 2% BHA Liquid Exfoliant, my skin was okay, but had a couple of real problem areas. My baseline skincare routine, when I’m actually using it, is pretty good at minimizing acne breakouts. For me, that means I still get acne in some areas because I developed PCOS last year, which has been slowly increasing in severity. PCOS is notoriously difficult to treat topically – for many, it’s even impossible. Fortunately for me, many of my favorite products do a remarkable job keeping the worst of it at bay. Additionally, I am usually testing a new skincare product, and since my skin is both sensitive and acne prone, it’s very easy for a new product to trigger a breakout. You might be wondering why I would even bother trying new products if I know there’s a chance it will break me out. The answer is simple – I am always searching for skincare that works well in spite of my skin issues. When I find one, I am ecstatic to be able to add it to my list of product options. There is one patch in particular along my jawline that, for the past 5 months, never seemed to completely go away. Once or twice a month, it flared into an unstoppable rash of large, red, angry, deep pimples that laughed in the face of my topical prescription antibiotics and retinoids. Sometimes I could hear it taunting me. “You fool!” it would say, “You cannot destroy me! I will be here long after you have left this mortal coil!” Yes, I know that’s not possible, for my zits to outlive me, but I’m not going to argue with an angry blemish. Instead, I’d spend a couple of weeks getting it down to the point where I was just starting to believe it was going away. Inevitably, I’d wake up one day to find it was back full force, and the cycle would begin again. Not anymore though. Within 3 weeks, Paula’s Choice 2% BHA Liquid Exfoliant vanquished it. Not only that, but it didn’t leave behind a whole lot of post-inflammatory hyperpigmentation. The traces of red spots that are actually visible are disappearing rapidly (though this is likely a combined effort – I’m also using Vitamin C serum right now). Below is a picture of that angry acne patch at what I would consider to be one of its worst points. It was taken on December 29th. Underneath that is a picture I took tonight, on January 13th. You can see for yourself how spectacular my results have been. I will say that the Paula’s Choice 2% BHA Liquid Exfoliant had some help. I also bought the Paula’s Choice RESIST BHA 9 Spot Treatment when I purchased this product, and used it a couple times when I first started the BHA liquid. The spot treatment did a great job flattening things out, and I will be giving it its own well-deserved review. I haven’t experienced any irritation with Paula’s Choice 2% BHA Liquid Exfoliant, which is a huge relief for me. Over the years, I’ve tried several products that contained 2% BHA that have irritated my sensitive skin, especially with my Tretinoin. My skin is somewhat drier than it normally is, but it’s nothing that isn’t easily managed with the rest of my skincare routine. EDIT 03/16/2014: I began experiencing some flakiness in February, so reduced my usage from twice a day to once a day, then again to once every other day. I am no longer experiencing flaking, and my acne has not returned from reducing my usage. Overall, I’m extremely pleased with Paula’s Choice Skin Perfecting 2% BHA Liquid Exfoliant. It plays nicely with my other skincare products, including my prescription Tretinoin Gel Microsphere. I’ll likely be adding Paula’s Choice 2% BHA Liquid Exfoliant to my baseline skincare routine. The only reason I haven’t added it yet is because Paula’s Choice carries two similar 2% BHA products that I will also be trying. The best of the three will make it to my permanent lineup. Performance: 5/5 – I found this product to be extremely effective at treating the stubborn acne my other products couldn’t. Additionally, it was not overly drying or irritating, as some 2% BHA products have been for me in the past. Quality: 5/5 – Solid ingredient list with very effective actives. The packaging is very basic, but serves its purpose very well. Value: 5/5 – At $23 for a highly effective product, this is a great buy. I expect this 4 oz. bottle will last me a total of 6-8 weeks. I bought my Paula’s Choice Skin Perfecting 2% BHA Liquid Exfoliant on the Paula’s Choice website, where it retails for $23 (EDIT: 03/13/2014 – Currently on sale for $18). New customers can use my referral link to receive $10 off your first order. If you decide to pick this up and want to bump your order up to $50 so you can get the free shipping, I highly recommend the RESIST BHA 9 Spot Treatment, which is currently on sale for $34 (it’s regularly $40). European customers can order from the Paula’s Choice EU site. I’m so happy to hear this! I’ve been curious about her products for years! I was too, Coco! I’m kicking myself for waiting so long to try them, especially the BHA. The main reason I put it off is that past BHAs have really irritated me in the past. I had an especially bad episode not long after I’d first started Tretinoin, and my skin was still crazy sensitive. I’m so glad I gave BHA another chance, and extra happy that I tried this one. I found a cool link I wanted to share to save 20% off and get free shipping on Paula’s Choice 2% BHA liquids (both formulas). The product you reviewed is the same formula as her clear *extra strength* acne exfoliant (only difference is packaging in neon/brighter blue bottle; both are fresh products). Alternatively, this link also works if someone is interested in the clear *regular strength* acne exfoliant (lighter blue bottle; gentler pH), which I saw you mentioned in another comment. And this discount works on trial (sample) sizes too (20% off each clear product so not limited to one), which I think are intended to last 2 weeks. Oh, great link! Thank you so much for sharing! I’m always down for discount. Hmm this product seems interesting. If it really does treat keratosis pilaris I’m going to have to pick this up someday! I have extremely mild patches of it on my lower cheeks, but the ones on my arms aren’t exactly pretty. Now if only this would help remove keratosis pilaris on my arms, then it’d truly be a miracle. Thanks for the review Kerry! You know, I’ve got some mild KP on my upper arms as well. I’ll see how this works on it and give you an update! Please do! That would be great. It seems like KP is somewhat difficult to treat, so hopefully this will do the job. Hey Gloria! It’s working great on my KP! I do find that it makes my upper arms a little dry though, so I’ve been extra vigilant about body lotion. I’m going to try the AHA Gel on it next to see how the results compare, and whether I like one better than the other. That’s great to hear! 😀 Let me know which one you prefer more once you’ve tried the gel. I’m definitely going to have to pick up one of them sometime! Wow, your skin looks great! It really did make a huge difference. The warning for retinoid users is definitely good advice as well. My thoughts exactly!!! I never understand why people use cotton pads for things that can just be put on…it’s a waste of money for the pads and waste of money for the product. Thanks, Tiffany! It has been an exciting discovery for me. I use cotton pads for eye makeup removal and nail polish removal only. I started applying products with my hands back when I first started using Asian products, and I suddenly wondered why everyone is always using cotton pads. In addition to being less wasteful, I also find the feeling of my hands on my face so much more pleasant – and I like that I get a better sense of how much product I have on my face. How I wish I could use this product. I’ve tried a handful of times and my skin always reacts horribly. The last time it left me with one of the worst cystic breakouts I’ve ever had. I have no idea what it is about the formula that my skin hates, but I’m glad it works so wonderfully for others! Just curious – do you happen to know if you have the same issue with other 2% BHA products? Found this review as I am currently following some products you are using in your morning/evening regime, Kerry, but every time I use this one, all the blackheads suddenly becoming visible, and I start to feel bumps along my jaw line (even when I am only using it once!). Then I tried to take it out again, and use OST C20 instead (only in the evenings) the blackheads and bumps just got smaller then disappear. What would you recommend to replace this in the morning regime, just before hydrating toner? Thanks so much for your recommendations – i love how my skin improves so far (have been using Benton products as baseline as well)! I was wondering what’s the difference between the liquid and the gel exfoliants in this line (if any)? I’m curious to try it, but am unsure why there’s a 2% formula in liquid, gel, and lotion form. Thanks in advance! Hey Pat! It’s nice to meet you! I know the lotion form is for drier skin types. I have dry skin, so it’s normally the kind of thing I’d go for, but I use so many other hydrating products and didn’t want to overdo it. I’m not sure about the difference between the liquid and the gel yet, but I’ll find out in the near future. I just received my order today for the 2% gel and will be trying it out soon. I also picked up the CLEAR Regular Strength Acne Exfoliant, which is another Paula’s Choice liquid that contains 2% BHA. The PC website says the CLEAR liquid is more water-thin than the others, and also contains some conditioning ingredients as well as anti-irritants. I tried the CLEAR one tonight – I’m liking the watery consistency. I’m looking forward to seeing how it performs! Thanks for the review Kerry. Always interested in skin clearing products. BTW, have you ever tried La Roche Posay Effaclar Duo? I kid you not, that stuff has changed my life. At 43, I’ve tried almost every acne product out there and this has far exceeded my hopes. I actually leave the house without makeup now. I don’t know what I’d do if they stopped making it. I buy mine at CVS, plus Target just started carrying it! It’s $36.95 which seems expensive for 1 oz, but I swear to you one tube will last you 6 months. I apply it every night on my whole face, after my Benton snail essence. I then spot treat in the morning if I have an angry spot. No lie Kerry, I was ready to go on Acutane when I found this. I figured I had nothing left to lose. And it literally changed my life LOL! I know that sounds dramatic but it’s true. CVS puts it on sale for 20% off rather frequently. I could go on forever but I’ll stop for now haha! Oh, wow! That’s pretty impressive – I mean, steered you away from Accutane? Amazing. I’ll keep an eye out for it at the Rite-Aid by my house. That store recently started carrying a lot of La Roche Posay stuff. I’d love to hear your thoughts if you try it Kerry!! Hey Jill! I’ve had no problems with the BP in this bleaching anything. And I have red sheets and pillow cases. And I wear black almost every day LOL! I only use it on my face and I usually let it soak in a bit before I go to bed. But so far no problems. It was a bit drying the first week but after that, I swear it was like magic. AMAZING results?! I suffer from bad acne on my face and body- wonder if this will work just as well on my back? Recently uploaded a body shop haul- also a fan of the natural products! I can’t wait to hear what you think of the other 2% solutions. I’ve been meaning to pick up some samples from Paula’s Choice (or just another BHA from somewhere) but it’s hard to choose which ones. 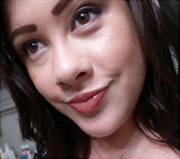 I have an evil/stubborn patch near my jawline too. No idea why, but I get terrible, painful acne just in that one spot and nowhere else on my face. I wonder whether this would work better for me than the Paula’s Choice 2% BHA lotion. While the rest of my face is very well-behaved my chin is a moody, hormonal teenager, never mind that my teenage years are a decade behind me! I thought the BHA lotion might help, but I find it does nothing to help the acne after several day’s application except I get a dry, angry red rash in areas I’ve applied it – I think it messes with the moisture barrier or something. That then takes a week or so to recover too! Do you do a precise spot application (eq with a q-tip), or does it go a little on the ‘normal’ skin around the spots? Maybe that’s my problem. Hi Floss! It’s certainly possible that this would work better. Then again, it may not – I think it depends on whether your sensitivity is to the BHA itself or one of the ingredients in the lotion. Although – from what you’ve described, I agree with you that it sounds like your moisture barrier is compromised. 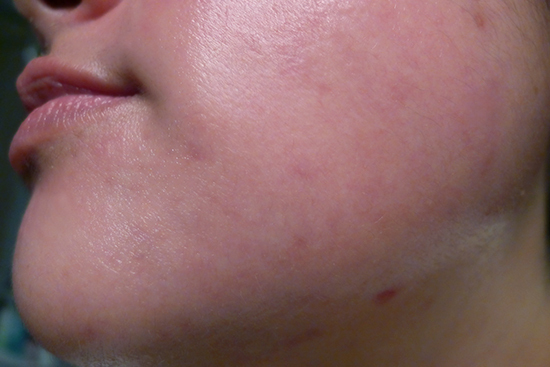 That dry, red rash is what happens to me when something’s gone wrong with my moisture barrier. Just curious – when you used the lotion, did you apply an additional moisturizer on top of it? I ask because even though the BHA lotion is a lotion product, it’s still not designed to be a standalone moisturizer, and using it alone would definitely be rough. Also, are you using any prescription topicals, like Retin-A? For the first 9 months of using Tretinoin/Retin-A, my skin couldn’t handle any BHAs or AHAs. It was basically a fast track to the moisture barrier rash you described. Now that my skin has adjusted and I’ve switched to a time-release formula for my Tretinoin, my skin is much more tolerant. Anyway, that’s good to know about the 8% AHA Gel! I bought a bottle of that too but haven’t tried it yet. I’m feeling optimistic about it since you’ve had some nice results. Have you seen any other changes from using the AHA gel? Yeah, I actually wondered whether the BHA lotion was too ‘heavy’ for my skin and if something lighter like the liquid or a gel might be better. I don’t use any prescription stuff (though probably should look into it if can be bothered! I liked the sound of the time-release Tretinoin when you blogged about it and made a mental note for if I ever do go down that route. I’ve been using Benton’s snail bee essence since you wrote about it, but since recently incorporating the Aloe BHA toner as well (replacing Paula’s Choice Skin Recovery Toner) I’m finding a big improvement with my chin. (the PC toner is a really nice formula though!). I am an avid reader of your blog. Thank you for your honest and thorough reviews. I was wondering how you incorporated this BHA with your skin care routine, considering that your baseline routine includes Benton’s BHA Toner. I’ve been using Paula’s Choice CLEAR Regular Strength BHA, but not sure if I should incorporate the Benton toner at all. Thanks! Hi Mary! I am currently testing some different toners that don’t contain BHA, but I wouldn’t have any qualms about trying this BHA treatment with the Aloe BHA toner. The Aloe BHA toner has considerably less BHA in it (though admittedly, I don’t know the exact percentage), and as far as toners go, it’s moisturizing enough that I imagine layering the two BHAs wouldn’t be any more drying than just using the Paula’s Choice product. However, I would definitely patch test first to make sure there wasn’t going to be any issues before I used both together on my whole face. Looks like another awesome product. You always leave me with skin care lemmings! Not to make your lemming worse but – I’m 100% positive that Paula’s Choice ships to Australia! How much is the shipping, Floss? It seems like a local warehouse would cut down on shipping cost quite a bit! I’m dry and acne prone and was wondering if this product would be too drying for an everyday all-over-the-face use? I currently use Benton’s BHA and read somewhere that it doesn’t have the correct pH for the exfoliant in it to work. Hi Aubrey! I am also dry and acne prone (and sensitive)! I haven’t had any issues with drying – I just make sure to moisturize well after applying the BHA. The amount of BHA in the Benton toner is pretty low, so this product would definitely be a big step up in the BHA department. And after reading this review I’m tempted to buy the BHA. My question is when do you put on the BHA? Before the Benton toner? After? Or does this replace your toner? I was reading through your post and noticed that you had great result with Paula’s Choise BHA & OST C serum. Do you recommend using both of those products at the same time in your baseline routine? Hi! Thanks for all the reviews. I just went through and ordered this exfoliant, the skinmd sunscreen, and the benton snail bee essence! I’m very excited to try them. Could you please tell me in what order you use the exfoliant and essence? Or do you not use them together? You mentioned applying both after toner so I am unsure. Thanks! Thank you so much for the referral! I had been contemplating getting Paula’s 2% BHA liquid and finally took the plunge due to your 10.00-off link. When I saw the field to enter a promo code, I did a quick search & found a 15%-off code & gave it a try too. The site allowed me to use both, enabling me to buy 63.00 of products for 43.00! Thank you! You’re welcome, Nat! Thanks for letting us know that these offers are stackable! Hi Kerry, I just wanted to circle back and let you know the PC 2% BHA liquid is really working for me. It’s only been a few days and my normal redness is slightly faded. Thanks for the in-depth article & referral link, not to mention the tip about applying it without a cotton pad. I see they’re having a sale on some other products and I’m going to try them out. Out of curiosity, I accessed the site using your original link and it appears as though it’s going to deduct the 10.00 again. Oh wow, how frustrating that it didn’t work out for you! Have you had any luck with BHAs in general? do you have any closed comedones? my inflammatory acne is gone now thankfully, but i have these super annoying closed comedones that have stuck around (and led to much unfortunate picking on my part). i am wondering if this will work on those. thanks! Hi Deb! This works magnificently for my closed comedones. I think it’s definitely worth trying for yours! I’m not acne prone but I do have occasional breakouts and want to incorporate a BHA exfoliant into my routine. What did you end up thinking about the regular clear version? I’m leaning towards that one since it sounds much gentler. Great review! I’m really interested in trying bha products… I’m a bit scared though because I use BP at night before I go to bed. Do you have any idea how bha would behave if I used it in the morning before applying my moisturiser? I’m a guy, so no make up etc. my biggest issue is that when I workout I’m prone to bad cystic acne. I do wash straight after my session, so I think the testosterone boosted a big part of my issue. I have just started using this product. Some reviewers said that they went through a state of purging and I’m quite worried about it. Did it happen to you, Kerry? I have now a similar routine but I am struggling to incorporate the BHA. Can you confirm you use it after the Vit C serum or in replacement? And you wait 10 minutes in between these two? Sorry, I am a bit confused. Thanks a lot! I started using it a year ago, continued for a few months but was left with darker, redder face. I also used Retin-A on and off during this time. Have stopped using both for around 6-7 months now but my face looks much darker than my body. It looks way darker in yellow light and frosted mirrors. Do you think I have over-exfoliated and damaged my skin? Please tell me how to recover my complexion and reverse the damage. I want my face color to look exactly like my body’s.